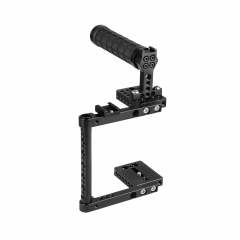 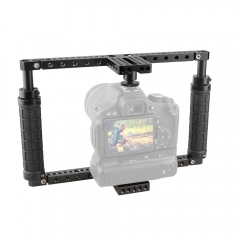 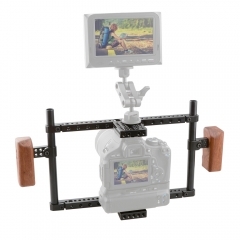 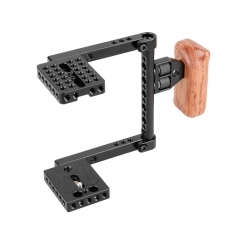 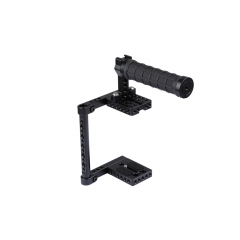 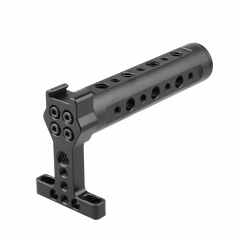 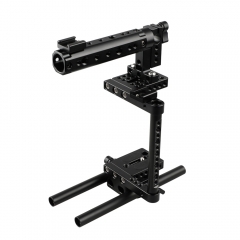 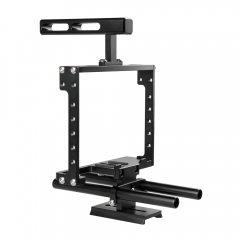 The professional camera cage is made of hard anodized aluminum for durability, not only protects your camera but also provides plenty of mounting choices. 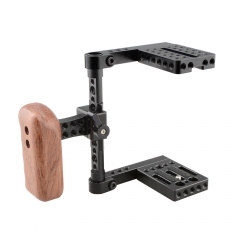 The Wood Handgrip is applied to the right hand, and ergonomic designed for comfort grip. 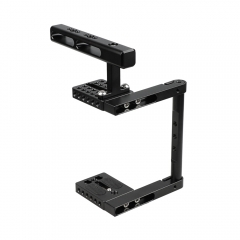 It is designed to work with Canon 60D,70D,80D,50D,40D,30D,6D,7D,7D Mark11,5D Mark11,5D Mark111,5DS,5DSR; Nikon D7000,D7100,D7200,D300S,D610,DF; Sony A99.